Prior to the rise of the internet, blogs, news sites, and the multitude of cable networks devoted to news, most people got their news from a limited number of sources. These included one of the 3 broadcast networks, newspapers, or radio. It’s tempting to think that “More is Better”, but this has proven not to be the case. The older model was based on news professionals, and organizations that prided themselves on some level of responsibility for the news they reported. Sources for stories, vetting facts, research, and a higher level of writing were the norm. Sure, there were papers that would publish anything, like the Weekly World News, but these were known by most people to be of questionable reliability at best. With our new technology-fueled news culture, stories often are reported (or “leaked”) with little if any fact-checking. Better to be the first one, and have that ratings spike! Besides, there’s always more news the next day. No need to worry about the mistakes of the past… Add to this the sheer volume of “news” sources (cable, blogs, sites, feeds, etc), and it’s easy to see why the “truth” has become a matter of public opinion. Photography used to involve having to learn arcane terms like “aperture”, “f-stop”, and knowing what film speed to use. Even developing a photograph from a negative was a complicated process. Yet, the time it took to learn the many details that made a good photograph is precisely what was needed to fully express a true artistic vision. Today, technology has lowered the bar. Anyone can take a picture. You don’t even need a camera! Just use your phone. It will focus for you, apply special filters that simulate effects from bygone years, and send it to all your friends in the blink of an eye. But the truly great photographs – the art of photography – it being infinitely diluted in a sea of commonness. It’s hard for the average person to even know what is a “good” picture, when they are inundated by so much mediocrity. Besides, why take the time to learn anything when there’s already an app for that! I am a voice actor by trade. The “acting” part of the job is the lion’s share, and my training came from years of performing drama, comedies, musicals and improv. Yes, I am bragging. I’m proud of the amount of work it took to become an actor. And I’m proud of the results from that work. The lessons I learned are put to use every time I audition, and every time I perform. Technology has allowed me to have a home studio. It makes it vastly easier to do my job. I can audition from home, and even work from my home in some cases. But don’t get me wrong. Heading to a studio is not a chore. It’s an amazing privilege. There are more trained professionals there to help ensure that the product is of the highest standard. My job is to act. There are others there to direct, write, engineer, etc. Each of them is also a professional in their chosen field. If home studios went away tomorrow, I’d gladly drive to wherever I was needed to audition and work. The downside to this influx of cheap recording equipment and software is that anyone can have a home studio. Sure, the quality of the studio and audio varies, but if you’ve got a little cash, you can have one too. There is no form to fill out to see if you’re qualified. You don’t have to show you can act or even read properly. This is the lowered bar that floods the industry with people who, frankly, shouldn’t be there (at least not without more training). Dozens more examples are out there: Book Publishing, Music, TV, Video and Movies, etc. By lowering the bar of entry on so many things, we’ve erroneously convinced ourselves that anyone can do anything well… they only need the right app. So, what is the way off this sinking quality ship? The answer lies in each of us… in the individual. As consumers, we can choose quality products and services over the mass-marketed drivel that is out there. 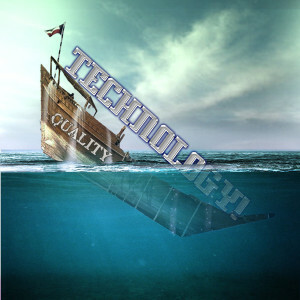 As producers, we can ensure that we are well-trained and that our work has a high level of quality. It’s up to the individual to become proficient at our jobs, research sources on news, and set a standard of excellence in everything we do. This entry was posted in Advice, Business, Opinion and tagged Advice, Business, Joe J Thomas, joeactor, JoeActor.com, Opinion, Quality, tech, Technology by Joe's Dump. Bookmark the permalink. Spot on! This speaks to exactly how I feel. Thanks for sharing! However, I work from my personal studio AND get to enjoy where I live. Computer based equipment has allowed me to create a recording environment where I audition and work. In that regard, thank you to whomever for the lowered bar! Technology does not guarantee success or quality. A novice photographer could buy a DSLR camera (or even grab images with a phone) and not come close to the quality of a master like Ansel Adams. Through practice and experience a person hopefully becomes better, otherwise they’re just pushing buttons and luck of the first type ends up working well for them. The tools are more accessible, but the skill to understand the tools to create anything approaching quality is still quite high. There is no plugin for talent. “There is no plugin for talent.” Amen to that!